Forget couch cushion forts or doll houses, 12-year-old Sicily Kolbeck is building her own tiny home from scratch. A student at HoneyFern school in Marietta, Georgia, she was inspired by Deek Diedricksen’s YouTube channel and Kirsten Dirksen’s documentary, We, the Tiny House People. Funded through Indiegogo, her project, “La Petite Maison,” is currently underway, and the subject of her small private school curriculum for the year. The structure will be built on a trailer and will measure 128 square feet and include a 30 square foot loft, a full bathroom and complete kitchen — and Kolbeck will incorporate solar panels to generate electricity. Intended as a space to “bake cupcakes, read, and to hang out with friends,” Sicily’s home is the result of her effort to live in a sustainable manner and learn some valuable skills in the process of construction. Sicily is one of six students at HoneyFern, a private non-profit school founded by Suzannah Kolbeck, that works with children to identify each individual’s interests while basing curriculum around projects that capitalize on their strengths. 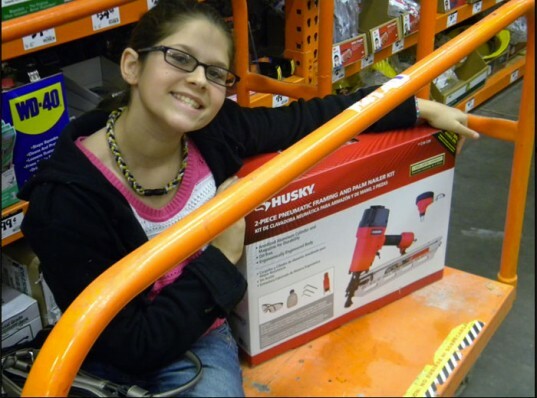 In conjunction with her project, Sicily is learning physics, math, design and engineering. She also keeps a blog detailing her adventures in home building and has written articles for other such notable sites as Jamie Oliver’s Food Revolution page, Tumbleweed Tiny Houses, and has been a guest on Andrew Odom’s Tiny Revolution podcast. She has already raised funds to complete her plans through the Indiegogo site, and all contributors have been invited to her open house in May 2013. 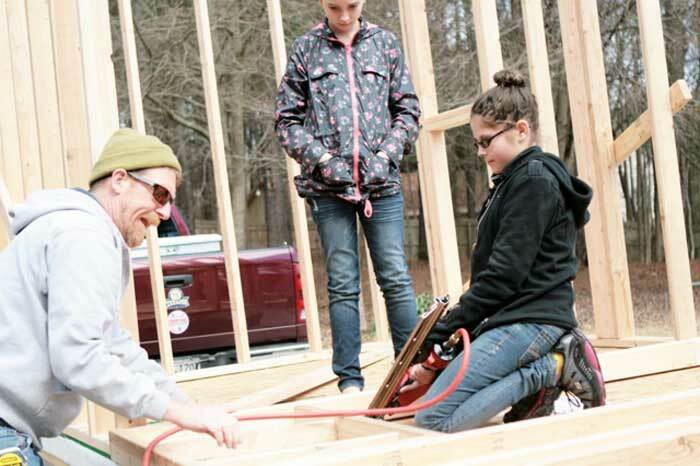 Learning plumbing, wiring, carpentry and solar panel installation as she goes, the intrepid builder is gaining experience and knowledge through planning and realizing her ambitions. Bravo! Thanks for reading and correcting us, Suzannah! I've updated the post with your name. Forget couch cushion forts or doll houses, 12-year-old Sicily Kolbeck is building her own tiny home from scratch. A student at HoneyFern school in Marietta, Georgia, she was inspired by Deek Diedricksen's YouTube channel and Kirsten Dirksen's documentary, We, the Tiny House People. Funded through Indiegogo, her project, "La Petite Maison," is currently underway, and the subject of her small private school curriculum for the year. The structure will be built on a trailer and will measure 128 square feet and include a 30 square foot loft, a full bathroom and complete kitchen -- and Kolbeck will incorporate solar panels to generate electricity. Intended as a space to "bake cupcakes, read, and to hang out with friends," Sicily's home is the result of her effort to live in a sustainable manner and learn some valuable skills in the process of construction.